London Rd and Summer St. I attended these halls on many occasions as the school took us there to see plays and the Bridgeton Burns Club schools poetry & song competitions. 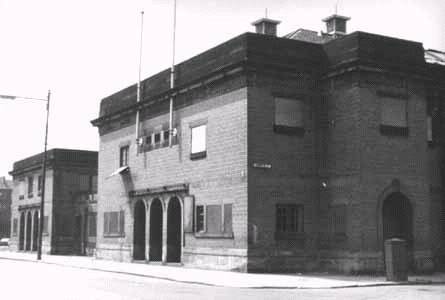 Bridgeton Burns Club, founded in 1870 became the largest in the world, with 1400 members, and it sponsored competitions in local schools for the recitation and singing of the bards works. 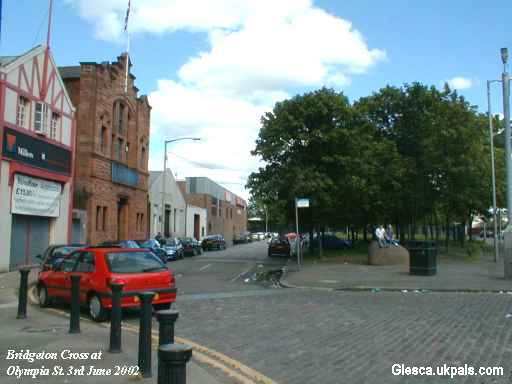 I also remember going to the Caledonian accordion band concerts, under the leadership of Billy McPhee, in these halls and at these concerts a wee lass called Marie Lawrie used to belt out her favourite songs, she went on to become the famous Scots singer Lulu! I loved these concerts and they were always a sell-out. The halls were finally demolished during redevelopment in the sixties and the site is now landscaped. 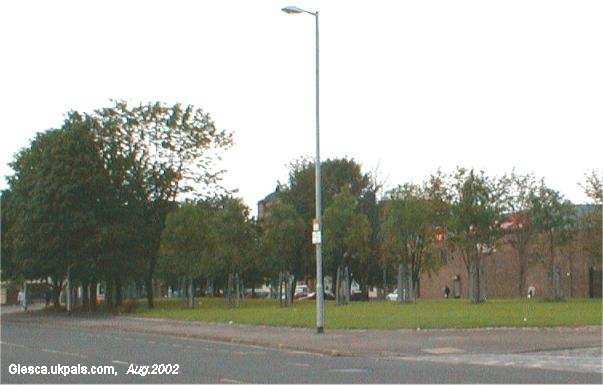 London Road at the junction of Summer Street, with Olympia Street in the background. Bridgeton Cross looking east along Olympia Street. 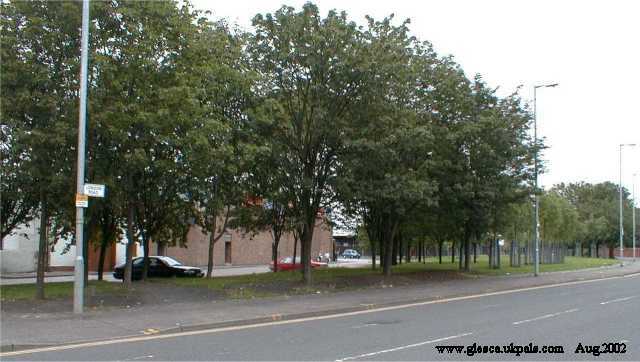 The Bridgeton Public Hall building has been long replaced by trees! "Are they any photographs around of Bridgeton Public Halls where I frequented regularly to see The Jimmy Barnes Rock & Roll Band this being around the early sixties?"